Sometimes as a business owner, it’s enough of a challenge to get out there and talk up what you do. But once you’ve got your foot in the door, you must be committed to seeing the process all the way through to the finish line. Guest expert, Oma Edoja, shares her best strategies for moving beyond of the fear of following-up. Thanks, Oma! One reason small business owners struggle to get clients is the lack of effective follow-up. And one cause of this is the fear of follow-up itself! I have observed this from having worked with and interviewed many small business owners in the course of my work. Below, I share a few simple but powerful mind shifts that have helped my clients overcome these fears and get clients through effective follow-up. 1. To follow-up means to act or make further investigations on the basis of information received (Encarta). This means that the people you follow-up on have already indicated some interest in what you offer. If you follow-up effectively, you will ask for their permission at the initial contact to get back to them again to talk further. This means they will be expecting to hear from you. Remember again, they made the first move! Your prospects will therefore quite likely feel disappointed, and not think highly of your business if you do not keep your promise to get back in touch. How do you feel about a business when you make an inquiry and there is no response? I know I feel disappointed and go off in search of “a more serious business!” Instead of being concerned about contacting people who are expecting us, we need to be concerned about not showing up when we said we would! 2. Follow-up is helping people in need to find what they are looking for. If you saw a lost child on a street corner, looking for directions or an old lady struggling to cross the road with her shopping, would you be inclined to help? I thought so! Your prospects, like the lost child or old lady have a need and you have the solution. Therefore, when you call, visit, write or email them, you are helping them find something they are already looking for. You are rendering assistance, most likely for free, for which they will be thankful if you offer it like a service. 3. Be aware that most of the things we fear never happen and can even be prevented! “What if I don’t know what to say?” Follow a script till you get the hang of things. “They will discover that I am a fraud!” Are you really? With your qualifications, experience and client testimonials? “I don’t know how to make small talk.” You do not need to; both your time and theirs is precious. Just call and get on with it! Operate permission-based marketing, only following up on those who have expressly given you permission to do so, preferably in writing. Are transparent. You make it clear to people during your marketing that you will call them again, send them your newsletter, enroll them in an e-course etc. If this is not acceptable, they will not opt in. With this prior notice, your prospects expect to hear from you. If they have not unsubscribed or opted out of your data base they are most likely happy to hear from you again! Only deal with qualified leads. This means you present your business to your target market and your follow-up is only for those who step out of the crowd to identify with your message. This could be through signing up for a freebie, responding to an advertisement, calling in to enquire etc. The others are not your focus, at least not for follow-up. They will continue to receive your marketing, BUT NOT YOUR FOLLOW-UP. Operate as a problem-solver and not a salesperson. As a problem solver you demonstrate that you have the prospect’s interests at heart. This builds rapport and trust, which OPENS the client up to the solutions you provide, rather than CLOSING a sale. Practice educational marketing, i.e. you regularly provide information to your target market that helps them make INFORMED decisions about your products and services. This way, they come to you and are open to your communications, rather than you chasing them and receiving rejection. Evaluate your marketing. Is it permission-based, educational and transparent? Adjust your marketing to make it something your prospects are happy to receive. 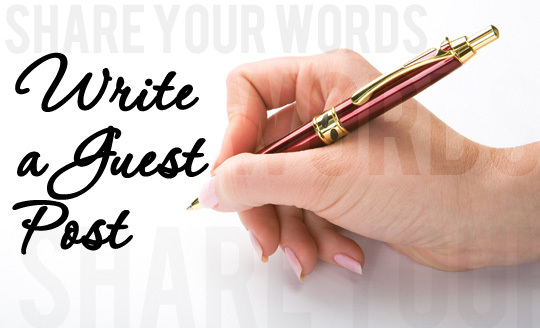 Write down any fears you may have regarding follow-up. Can you see how permission-based, educational, transparent marketing removes the basis for these fears? Make it easier by automating and delegating where possible. You can set up autoresponders to reply with a pre-written message when people download your free report. Then cue a few more follow-up messages to go out every other week, to keep on engaging with your prospects. 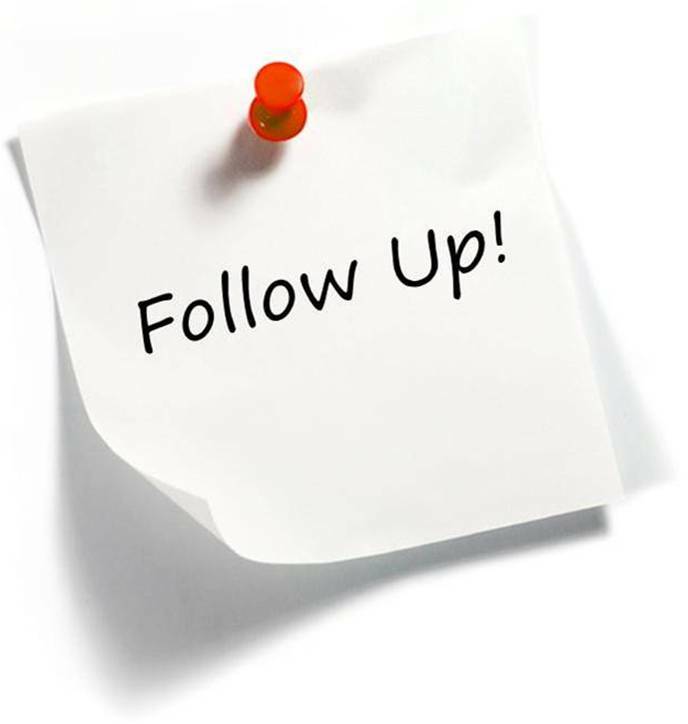 Assign a team member the task of confirming follow-up appointments. Hire a virtual assistant to mail out pre-written but customized follow-up letters after a networking event. Get all the help you can to make it work! Rapport and trust, plus permission-based, educational marketing take time to establish. This requires patience, consistency and a genuine desire to be of service. It is not for those seeking a fast buck or those who really only care about closing sales and earning commissions. However, those who persevere receive the winner’s prize – loyal clients! 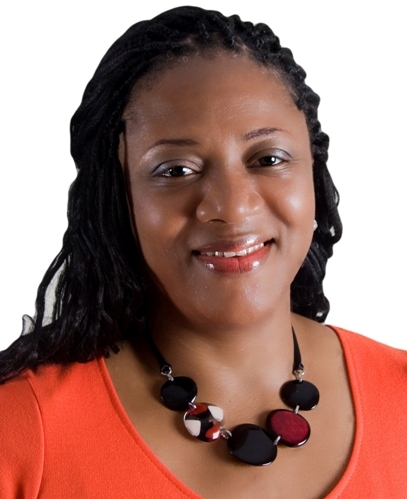 Oma Edoja is an author, speaker and Women’s Business Growth Mentor who is passionate about empowering women! She is the UK’s go-to-gal for ambitious women entrepreneurs who want to get more clients, make more money and make a bigger impact on the people they serve. You are invited to get your free copy of Oma’s ebook, 12 Reasons Women Business Owners Struggle to Get Clients at: http://tinyurl.com/33yqlcu . Then drop Oma a line. She would love to hear from you! Connect with Oma on Twitter, Facebook and LinkedIn. This entry was written by Dr. Shannon Reece, posted on May 8, 2012 at 5:00 am, filed under Guest Posts and tagged follow-up, Oma Edoja, overcoming fear, small business tips, strategies for women. Bookmark the permalink. Follow any comments here with the RSS feed for this post. Post a comment or leave a trackback: Trackback URL. I’ve always thought of following up in terms of contacting people after you have had a sales conversation with them, whether in person, by phone, or by e-mail. I’ve never thought of it in the broader sense that you describe above. It’s interesting how the way we use words guides our thoughts! Thanks for broadening my perspective!